Beautiful spacious home in Deerfield Shores subdivision, a lovely waterfront community with no HOA, just minutes from downtown Beaufort! This open floor plan home features a downstairs master suite, wood floors, vaulted ceiling in the living room, kitchen with granite counter tops and stainless appliances, and curved staircase up to two additional bedrooms and a bonus room! 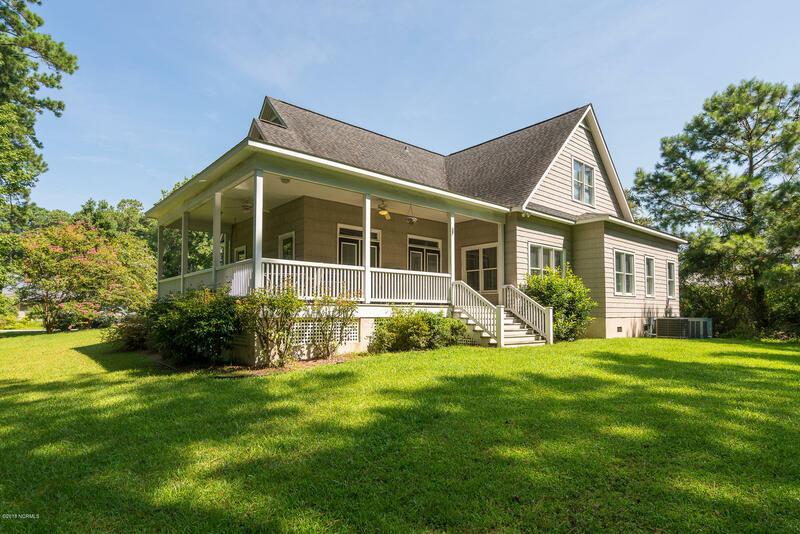 Then there’s the attached garage, plenty of parking and wonderful porches in front and back for relaxing and entertaining. One of the most alluring features of Deerfield Shores is the optional membership to the fine marina, boat ramp, swimming pool and yacht club located within – the Morehead Beaufort Yacht Club! The marina provides a protected basin in an ideal location just off the Intracoastal Waterway. This home and neighborhood has so much to offer! Close to shopping, restaurants, schools, golf course and more! A great value!